ever wondered what Berlin tastes like? This is a tour to satisfy all the senses! Starting our culinary journey in Berlin's old Jewish Quarter and eating our way up to the popular district of Prenzlauer Berg, you will experience the city's wealth of history and multiculturalism through the diverse food scene. Discover the inspiring women of Berlin that helped shape the city it is today. From resistance-fighters to culinary inventors, actresses to queens, explore Berlin through the women that made a difference. This tour is perfect for the Vegan traveller looking to explore the vegan treats of Berlin, but it will also satisfy our carnivorous friends and anyone who is curious and keen to learn about the vegan lifestyle. GO BEYOND THE HUMBLE BRATWURST AND DISCOVER A CITY WHERE CULTURES AND CUISINES COME TOGETHER TO CREATE AN EXCITING GASTRONOMIC ADVENTURE! Vegan cooking classes- learn the basics with me to change your life! + Where does the tour begin/ end? We start at Hackescher Markt S-bahn station next to the Butlers shop and finish in Prenzlauer Berg (10/15 mins from start-point). I will be able to give directions to wherever you wish to head to from there. + How many people on the tour? We think the best way to enjoy this foodie adventure is in small groups so never more than 10 people. The tour is roughly 3 hours, depending on the group size and our pace, the time may vary a little. + How will I recognize the guide? We don’t like gaudy signs, umbrellas and all that jazz. We prefer to blend in with the locals and not scream 'we’re tourists!'. Therefore, we do not use any signs at all. There is a photo of me on the About page. + What happens if we’re late? Please try to be on time! However we understand being late happens so we do wait at the start point for 10 minutes before we move on. I have my phone on me so you can try and call to catch up. + So we just walk around eating food? Yep! And we love it. We will also learn a lot about Berlin’s wealth of history and culture as we munch. + How much walking is there, will I keep up? There is a certain amount of walking but we go at a nice relaxed pace. Our tastings are a good balance of sit down situations and eating on the go. + Will the tour run in the rain? Yep! Rain or shine the tour will go ahead. Be prepared for the weather conditions and we’ll be fine. + How much food is served? There will be 5 food tastings plus water throughout and an alcoholic beverage to finish on the tour. + What kind of food is it? Delicious food! There will be a mixture of traditional German/Berliner cuisine and also a taste of the other cultures that have made Berlin their home. Please let us know as soon as you make a booking and I’ll do my best to tailor the tour to your needs. + I’m vegetarian, is this tour for me? Yes! Let me know as you make a booking and I will tailor the tour to your needs. Alternatively you could book a private tour and I can do a bespoke veggie/vegan version. + Can I book a private tour/ bespoke tour? Yes, contact me with the details and I’ll do my best to accommodate your needs. Yes, kids are more than welcome! If your child is very little and will not be eating then of course there is no need to purchase a ticket. If you have a hungry munchkin who will take part in the food tasting then we ask that you purchase the reduced student priced ticket. Yes and taking photos is encouraged! + When in my trip should I take this tour? I would recommend at the start of your trip as the tour will give you a great foundation on which to spend the rest of your time. 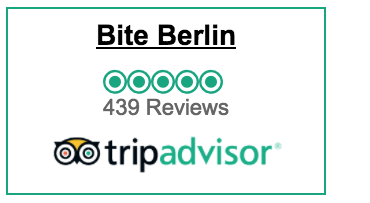 However you’ll enjoy it at any point of your stay in Berlin! + I live in Berlin, is this tour for me? Definitely! You can always learn something new and eating with new people is always a good thing. + Is the tour wheelchair friendly? Yes the tour is indeed wheelchair friendly. + Is the tour only in English? At this point yes, however the tour will soon be available in Spanish & German so watch this space! We give refunds for cancellations up to 2 weeks before a scheduled tour, after this, cancellations are non-refundable. Bite Berlin chooses to donate a portion of every ticket sale to the Berliner Tafel, the food bank in Berlin. This is our way of giving something back to a society, where food is not always so easily accessible. The Berliner Tafel goes to great efforts to feed those that are unprivileged and also run programs educating children about food. The difference they have made to lives in need is fantastic and with our donation we can help, just a little, for them to continue. Cooking is my passion and I love sharing it with others. Feeding people brings me as much pleasure as feeding myself, well almost… So if you need catering for your next work event, dinner party or if you want to avoid the mess and would like to have a Supperclub hosted by me at my apartment, get in touch! I offer delicious vegan food inspired by this vibrant city, my travels and studies at culinary school. So fill out the form below with your requirements and I will get back to you asap. The start point for the Food Tour is Hackescher Markt, outside the Butlers homeware store. Participation on the tours is only possible through pre-bookings. 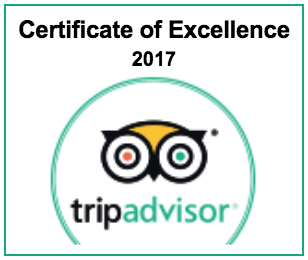 If you book a tour and change your mind up until 2 weeks before the tour we will provide a refund. A minimum number of participants is required for a tour to run. The history of Berlin is extensive and tumultuous. It’s a city that has had countless battles and challenges. There have been many players during this history, good and bad but the majority of those we learn about are men- right? This tour focuses on the women of this great city and how they have helped shape what Berlin and Germany is today. It is an important time for women and gender equality, so lets be a part of it and celebrate the women of Berlin that the history books have left behind! From resistance fighters to culinary inventors, actresses to queens. Come meet some amazing women and explore the city through them. Food is not included on this tour but there is the opportunity to try a special snack and drink at your discretion that were brought to us by two of our very special ‘Berlinerins’ (Berlin gals). Email info@biteberlin.com to book on! Or click the tab for Women In Berlin Tour above.